A cool Season’s Greetings Christmas card. 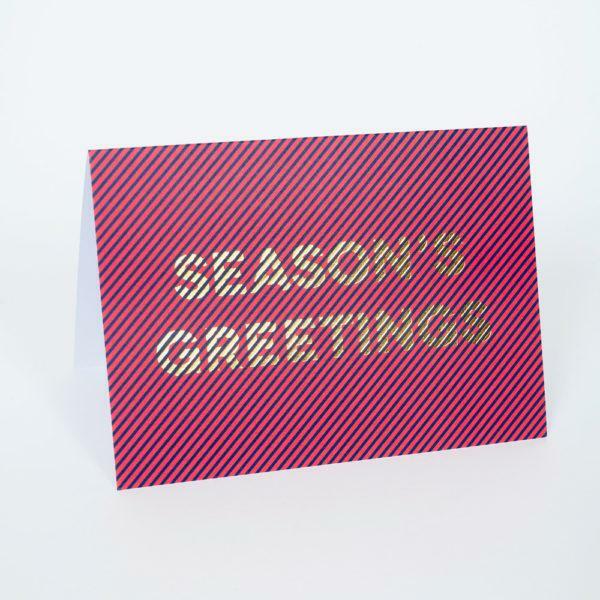 Send festive wishes in style this holiday season, with our premium collection of contemporary Christmas cards. Perfect for design lovers among your friends and family, the series includes eight luxury cards, each featuring a refined colour palette and luxury gold foiled detail. Printed on high quality 320gsm, FSC certified stock.